Josef Sudek, a one-armed man lugging around a large format camera, is one of my top ten photographers of all time. His photographs, sometimes surreal, always sensitive, have a profound sensibility that affect the soul. Melancholy and mysterious by turns, they investigate the inner life of objects which stand as metaphors for the inner life of the artist. A form of healing after his horrific injuries and the loss of his arm during the First World War, the photographs purportedly look outwards upon the world but are actually interior meditations on life, death and the nature of being. Light emerges from the darkness; understanding from tribulation; and Sudek, in Jungian terms, integrates his ego into his soul through the process of (photographic) individuation – whereby the personal and collective unconscious (his hurt and damage) are brought into consciousness (eg. by means of dreams, active imagination, or free association) to be assimilated into the whole personality. It is a completely natural process necessary for the integration of the psyche and, in Sudek’s life, was integral to his healing from the vicissitudes of war. Using Pictorialism as the starting point for his exploration of the world, Sudek never abandons the creation of “atmosphere” in his photographs, even as the images become modernist, surrealist and offer a new way of seeing the world. Having myself photographed extensively at night, and from the interior of my flat, I can understand Sudek’s fascination with both locations: the quiet of night, the stillness, the clarity of vision and thought; the interior as exterior, the projection of interior thoughts onto an external surface reflected back into the camera lens. “Nature, architecture, streets and objects are magnified by his sensitivity and mastery of the effects of light, contrasting with the impenetrable cloak of darkness.” Except the cloak of darkness is not impenetrable, as light cannot exist without darkness. Pace, his photographs are breath / taking. They are exhalations of the spirit. Sudek’s ability to transcend the literal, his ability to transform the objectal quality of photography ranks him as one of the top photographers of all time. He synthesises a poetry of objects, a poetry of the everyday, and projects the folds of his mind onto the visual field (through “tears” of condensation on the window, through labyrinths of paper and glass, such as in Labyrinth on my table, 1967, below). As a form of self-actualisation – the desire to become everything that one is capable of becoming – Sudek’s photographs interrogate that chthonic darkness that lurks in the heart of everyone of us, our dark night of the soul. In that process of discovery (who am I, what kind of human being am I, how can I heal myself), he finds redemption. “… [Sudek] referred to photography as meteorology to describe the significance of the atmosphere, and how a photographer must predict the right conditions for photographing and enlarging prints. His work became sharper with richer tones, and his compositions became more illusive. The foregrounds and backgrounds of his photographs, particularly in his “Window” series began to oscillate. These achievements were perhaps made more attainable by his focus on inanimate objects over which he had more control than living things. Most of his cityscapes became deserted, as he directed his camera at statues or replaced what would have been a living subject with such emulative sculptures. 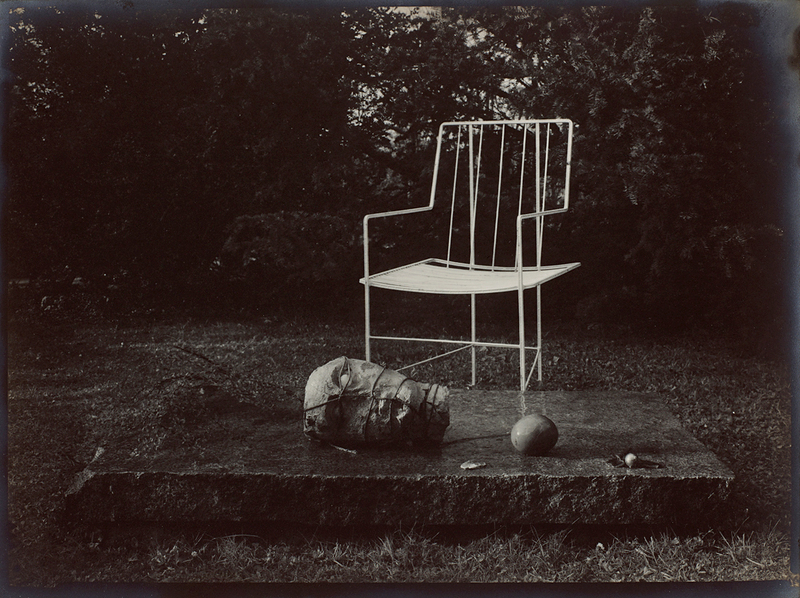 In effect, Sudek’s substitution of the inanimate for the animate brought the objects he photographed to life in his mind. He called the enormous decaying trees in the woods of Bohemia “sleeping giants” and would take portraits of masks and statuary heads, transforming them into frozen, worn grotesqueries. 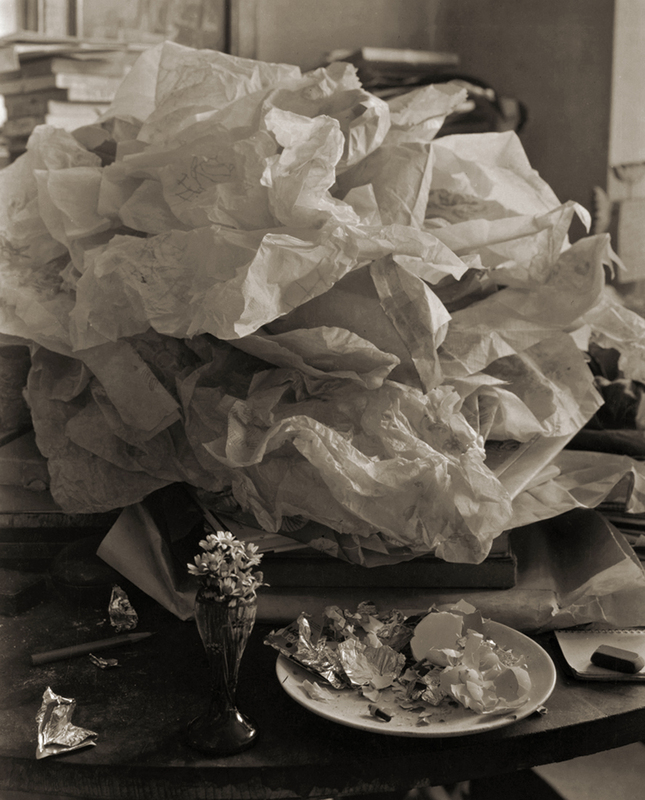 His personification of objects is even more vivid in his studio photography, particularly after 1939, the oncoming of World War II and the Nazi occupation of Prague. As the city was oppressed by German troops, the artist retreated into his studio and insulated himself sentimentally with still lifes. To an interviewer, he explained, “I love the life of objects. When the children go to bed, the objects come to life. I like to tell stories about the life of inanimate objects.” He devoted endless hours to arranging and photographing the everyday – apples, eggs, bread, and shells – and special objects given to him by friends, such as feathers, spectacles, and watches, which he called “remembrances” of that person. 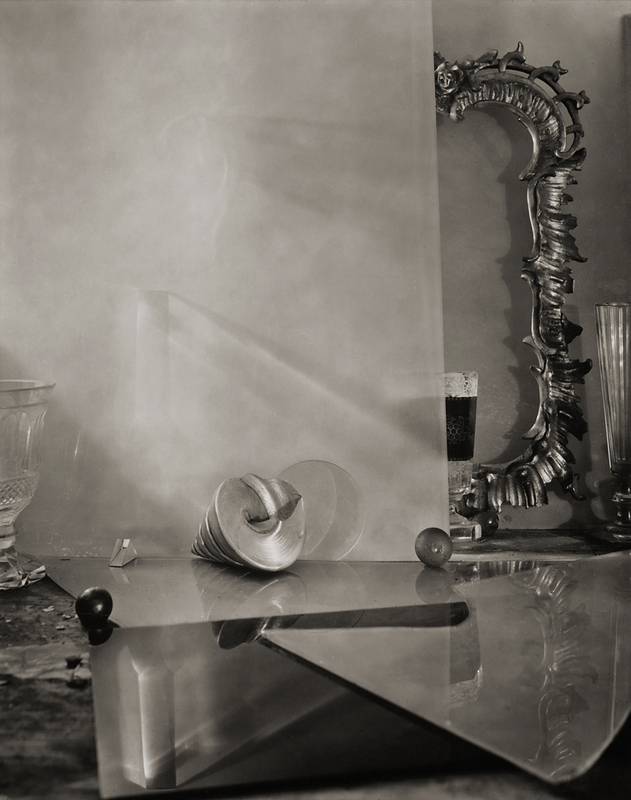 A photograph from his series “Remembrances of Architect Rothmayer, Mr. Magician,” for example, portrays objects respectfully placed in a row on a desk, as if artifacts from an archeological site, from which the history of a life or character of a man could be divined. 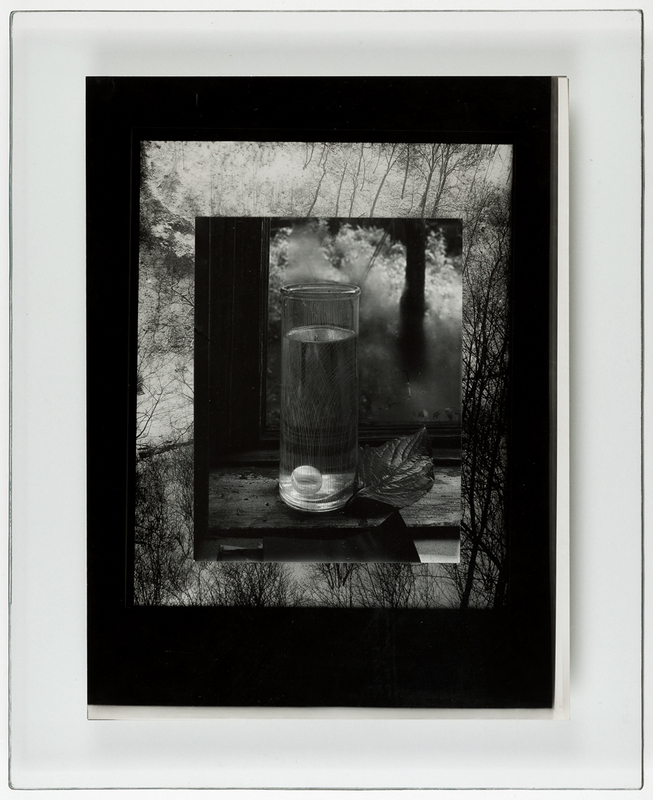 “On display are works that are the result of Sudek’s photographic experiments carried out within the privacy of his own studio, images of the garden seen from his window, and photographs of adventures further afield. The artist enjoyed meandering through the streets of Prague and its surrounding suburbs, and made frequent excursions to the nearby countryside. Sudek’s enduring fascination with light, and its absence, is at the root of some of the most haunting photographs of the twentieth century. Nature, architecture, streets and objects are magnified by his sensitivity and mastery of the effects of light, contrasting with the impenetrable cloak of darkness. As a photographer, Sudek was particularly concerned with the quality of the photographic print, an essential component in terms of the expressive potential of an image. 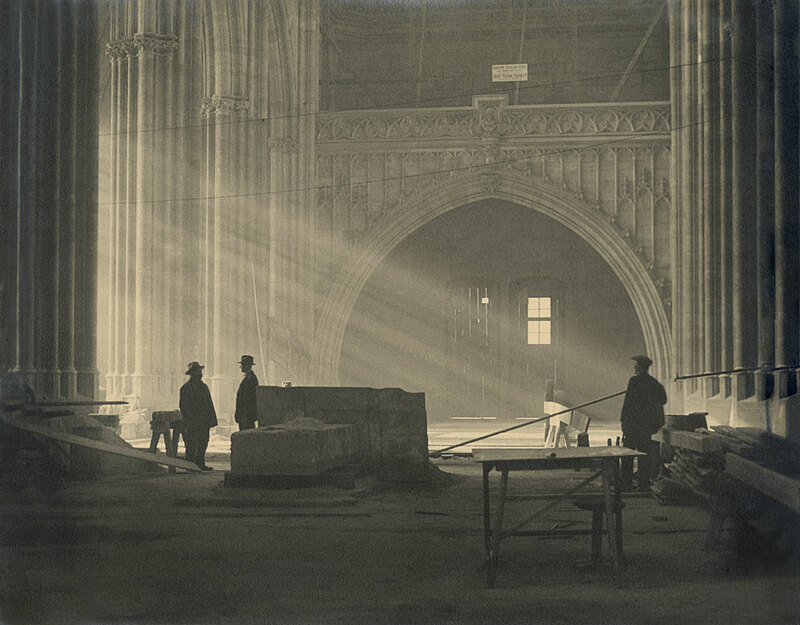 His mastery of the pigment printing process enabled him to produce highly atmospheric and evocative images, thereby reaping all of the reflective and descriptive power of the gelatin silver print. The exhibition presents work from Sudek’s early career, but also features photographs from a pivotal period of experimentation and innovation, beginning in the 1940s. 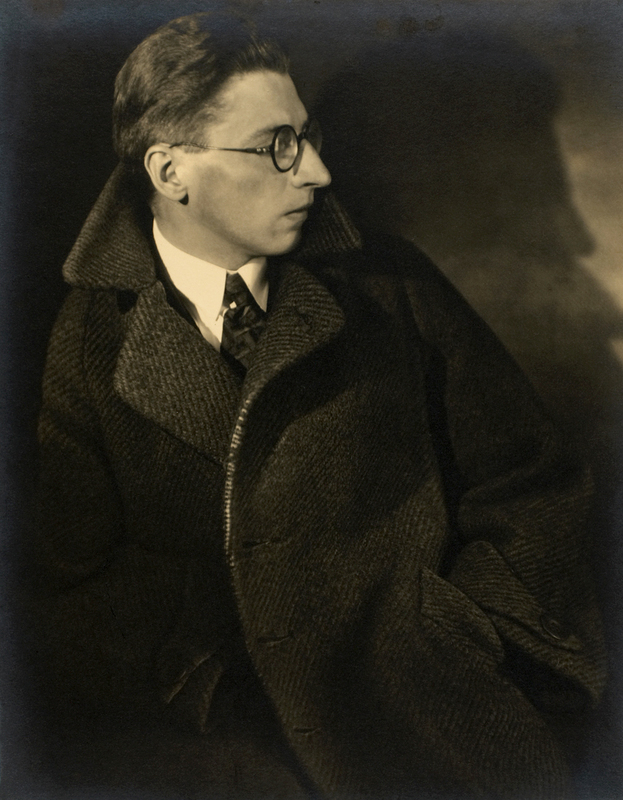 Focusing on the technical and formal aspects of the medium of photography, Sudek created pigment prints, halftone prints, puridlos (photographs between two windows) and veteše (photographs inserted into old frames), techniques which allowed him to transform the objectal quality of photography. The loss of his right arm during the First World War and the difficulties he now encountered in transporting his view camera did not dampen his passion for photography. 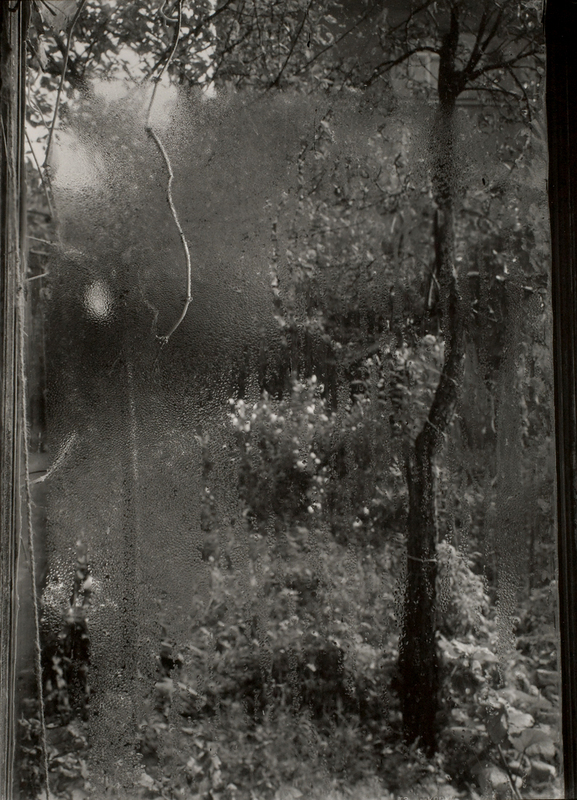 Sudek’s studio window became an object of abiding fascination – rather like the surface of a canvas – reflecting moments of exquisite tenderness and hope when a flowering branch brushed against its pane, or of poignant melancholy when he observed the world beyond his window transformed by the playful infinity of mist. His room with a view allowed him to capture, on film, his love of Prague. His photographs demonstrate both a precision and a depth of feeling, fitting odes to the rich history and architectural complexity of the Czech capital. Like many artists of his generation marked by their experience of war, Sudek expresses a particularly acute awareness of the dark and tormented aspects of human existence – feelings that would inspire some of his most melancholy and most moving pictures. A photograph taken at night, through the glass pane of his window, shows a city plunged into darkness during the Occupation of the Second World War, and communicates a sentiment of unspeakable despair – a dramatic illustration of Sudek’s technical ability to transcend the literal. Sudek’s first photographic prints – small and largely assembled in albums – were mainly views of the countryside taken along the Elbe River when he travelled from Prague to Kolín to visit his mother between 1916 and 1922. Using processes such as gelatin silver and bromoil he showed a talent for printing his pictures in a style that favoured soft edges and broad swathes of tone. Here Sudek was not so much studying the effects of light as he was observing the conventions of Pictorialism, a photography movement that straddled the last decade of the nineteenth century and the first decades of the twentieth century, and was based on a strong Romantic ethos. 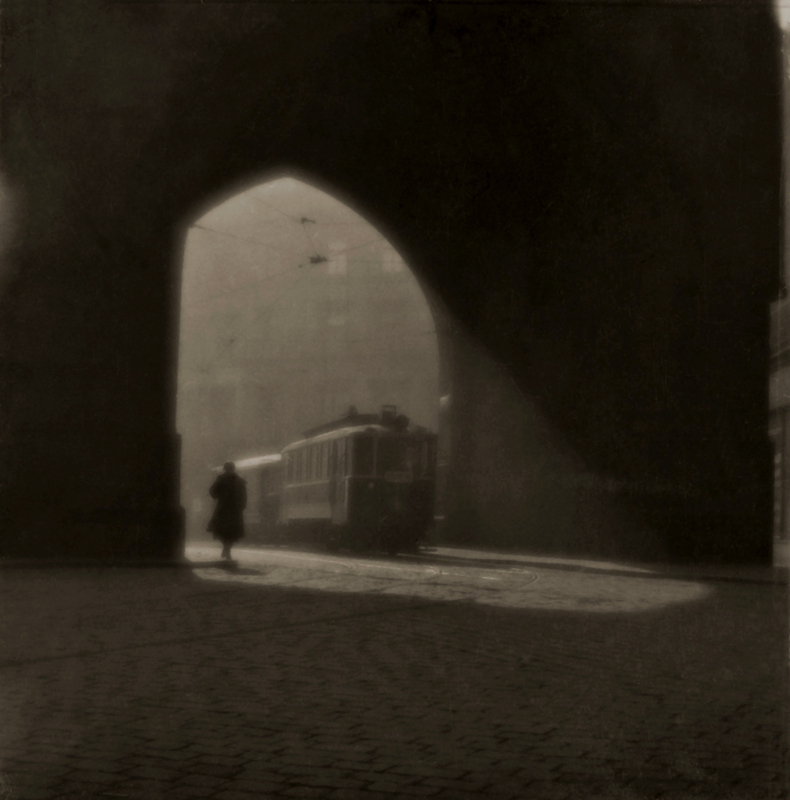 Pictorialist photographers enhanced atmospheric effects with such processes as carbon and gum bichromate. 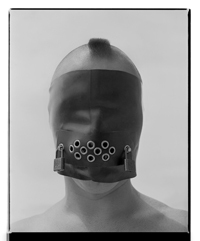 Sudek began using the carbon process regularly and in a personally expressive manner in the late 1940s. His Invalidovna and St. Vitus Cathedral series in Prague, begun in the first half of the 1920s, show him exploring interior spaces where light emphasizes both the profane and the sacred. The play of bands of sunlight and darkness is a central feature of the composition and, indeed, of the life of the photograph. 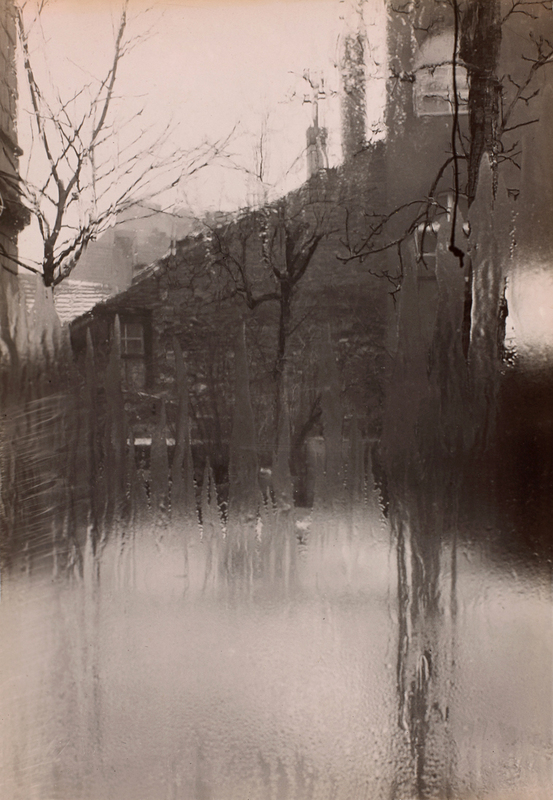 “”Josef Sudek: The World at My Window” is the first exhibition in France since 1988 to cover Sudek’s entire career and spotlight the different phases of his work. 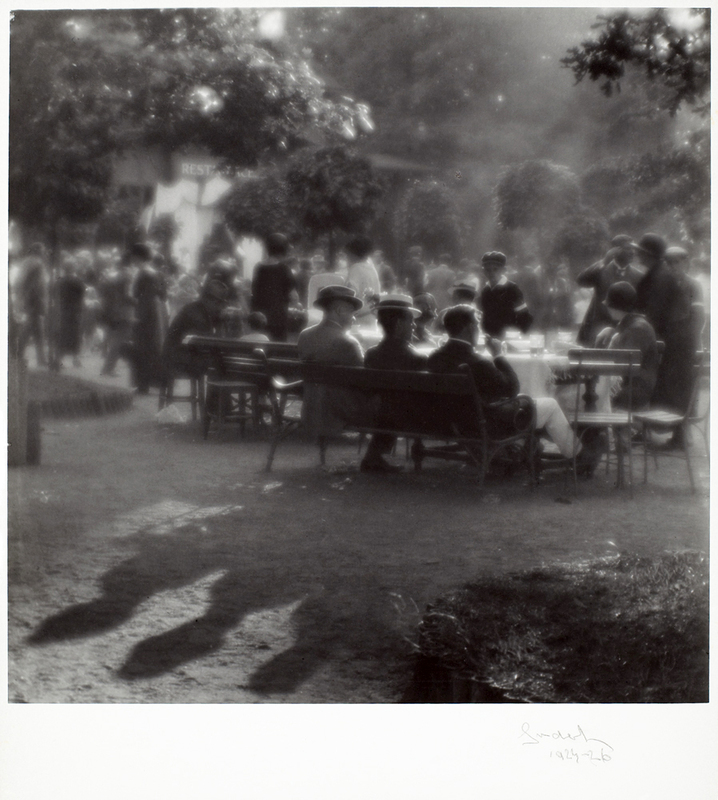 Coming in the wake of several exhibitions at the Jeu de Paume devoted to Eastern European photographers of the early twentieth century, among them André Kertész and Francois Kollar, this one comprises some 130 vintage prints by the Czech artist. Bringing to bear a vision at once subjective and timeless, Sudek captures the ongoing changes in Prague’s natural world and landscapes. A study grant enabled him to train at the state-run school of graphic arts in Prague, where he mixed with practitioners of Pictorialism, a photographic movement aiming at achieving colour and texture effects similar to those of painting. He started concentrating on architectural details, always waiting until the light was absolutely perfect. Little by little he gave up the Pictorialist ambiences of his views of St Vitus’s cathedral, opting for a pure, straightforward approach which the American photographer Alfred Stieglitz summed up as “maximum detail for maximum simplification”. During the Second World War Sudek began photographing the window giving onto his garden, the result being the celebrated Window of My Studio series. He then shifted his focus to the accumulated jumble of objects in the studio, producing a further series titled Labyrinths. Light was an inexhaustible theme in his work, orchestrating the seasons, making the invisible visible and transporting us into another world. As if to escape the leaden context of the War and then of Communism, Sudek took refuge in music, especially that of his compatriot Leoš Janáček. A true music lover, he gradually built up a substantial collection of recordings which he played to his friends during improvised concerts in his studio. The second half of his career saw Sudek abandon photography’s traditional subjects as he explored the outskirts of Prague with his black view camera on his shoulder. Known as “the poet of Prague”, he became an emblematic figure in the Czech capital. Discreet and solitary, he gradually withdrew from the city’s art scene, leaving his studio only to prowl the streets at night with his imagination as his guide. Sudek was not content with making single, unrelated images. He generally worked in projects or series, creating extended visual explorations of the phenomena and scenes he viewed – often from the closed window of his studio, which separated his private studio-home from the exterior world. 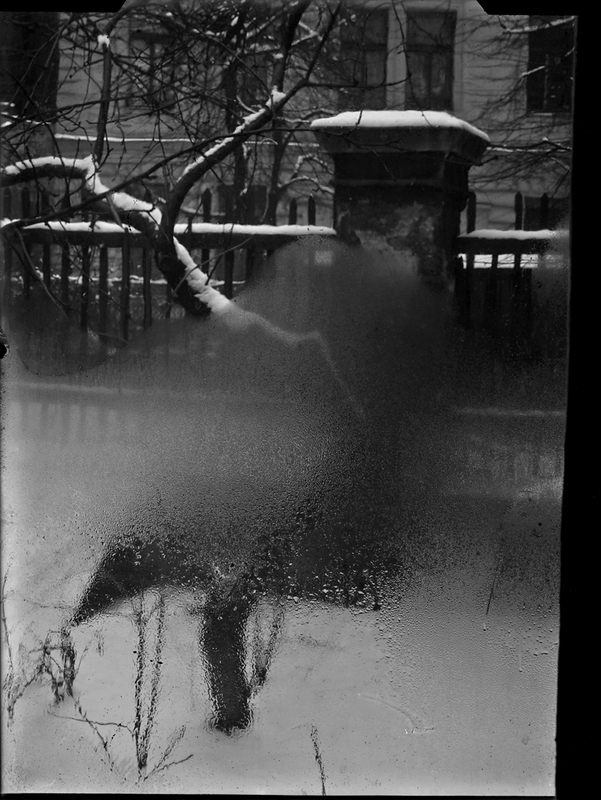 In the serie From My Window it was the endlessly varying states of transformation of droplets of water that he watched streaming down his windowpane. His images invite us to contemplate, with great fascination, the physical cycles of water and the phenomenon of rivulets coursing down a surface – like human tears. Reminding us even of [Paul] Verlaine’s “There is weeping in my heart like the rain upon the city…” Sometimes the melancholy mood of these images is leavened by a rose in a vase on the windowsill or tendrils of leaves announcing the arrival of spring. like the rain falling on the town. on the ground and the roofs! There’s no reason for this grief. my heart feels so much pain. 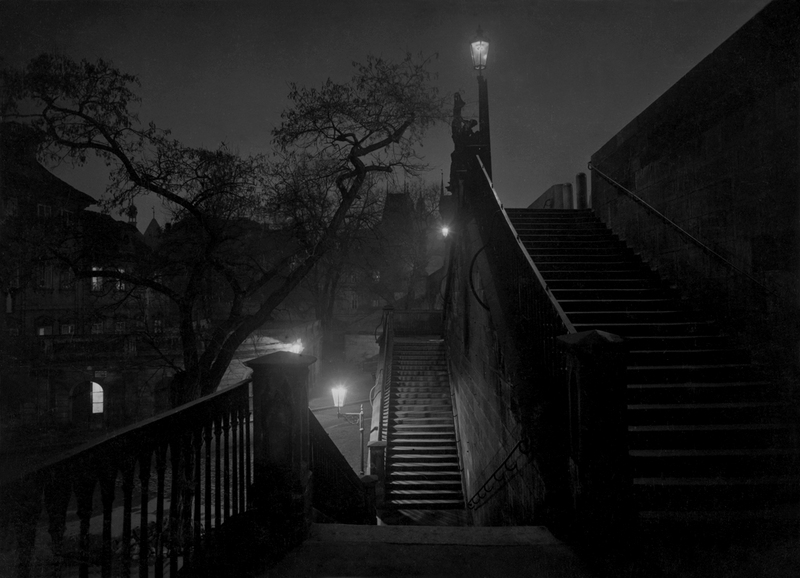 Sudek’s preoccupation with darkness dates to the Nazi Occupation of Prague from March 1939 until the end of the war. Experiencing his city plunged into nights of enforced darkness Sudek explored the absence of light in his pictures. We know that this was more than a technical exercise, for he wrote “Memories” and “Restless Night” on the verso of one nocturnal photograph dated 1943. The curfews imposed on citizens at the time made it unlikely that Sudek ventured out into the city after dark during wartime. Neither agile nor inconspicuous with his large-format camera slung over his increasingly hunched back, Sudek would have risked his life had he done so. The small courtyard of his studio on Ujezd street was hidden from the road, however, and one or two lights in neighbouring apartments served as beacons. Well after sundown he would photograph the syncopated play of blurs of light against the wall of impenetrable blackness. 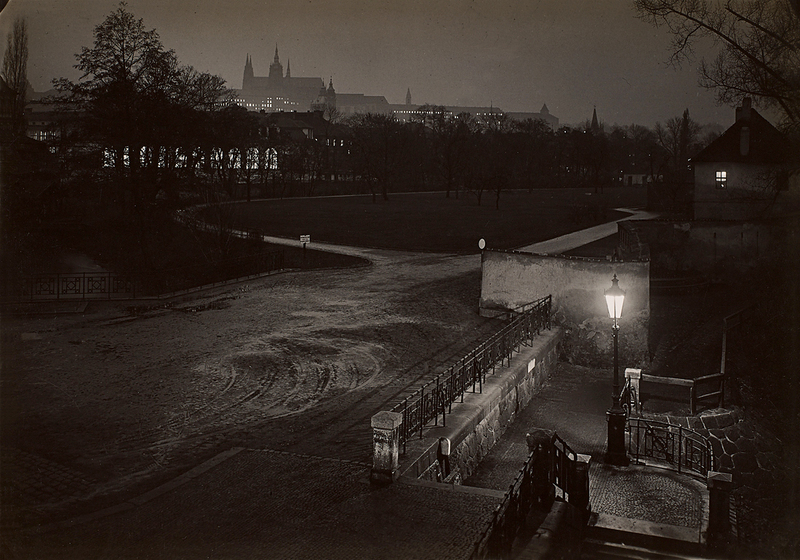 Sudek visited and photographed places that held either personal or spiritual significance for him: the landscape along the Elbe River, Invalidovna, St. Vitus Cathedral, his studio, Prague’s complex streets and open squares, the majestic Prague Castle, the city’s surrounds, and Frenštát pod Radhoštĕm where he spent summers with friends. Hukvaldy, home of Leoš Janaček, the composer whose music he loved, was a particularly favoured haunt. This was true also of the ancient Mionší Forest where he navigated his way through dense brush and forests by way of shortcuts that he created and playfully named. The Beskid Mountains also served as spiritual retreat. Although he was an urbanite in many respects, Sudek’s love of nature and sense of despair for its desecration is strongly expressed in Sad Landscapes, his series of images made in the Most region where industrialization ravaged the countryside in the 1950s. Sudek collected everything. Today he would be known as a hoarder. But his obsession served him well, for out of the chaos of his small studio and living spaces he carefully selected a variety of these objects to photograph. From delicate feathers to crumpled paper and tinfoil, multi-faceted drinking glasses, flowers, fruit, seashells, envelopes, flasks, frames, prisms, candelabras, string and shoe moulds, the subjects ranged from the mundane to the exotic. Once chosen, the set-up was lovingly composed – often in subtly changed configurations with other objects – and carefully lit before being memorialized in either pigment or gelatin silver prints. “Entitled “The Intimate World of Josef Sudek”, this exhibition is the first of this scale to revisit the life and work of Josef Sudek (Kolín, 1896 – Prague, 1976) within its sociogeographical and historical context: Prague during the first half of the twentieth century, at a time when the Czech capital was a veritable hub of artistic activity. The exhibition features a selection of 130 works spanning the totality of Sudek’s career, from 1920 to 1976, and allows the public to examine the extent to which his photography was a reflection of his personal relationship to the surrounding world. 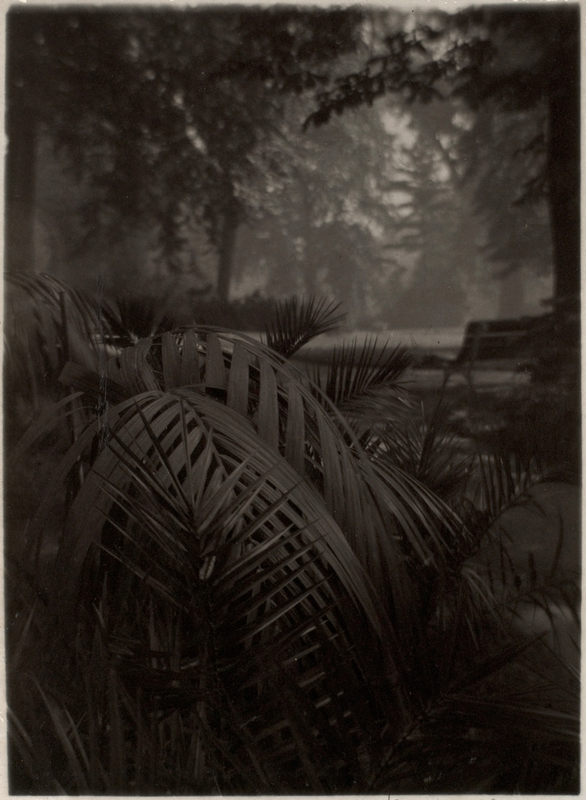 On display are works that are the result of Sudek’s photographic experiments carried out within the privacy of his own studio, images of the garden seen from his window, and photographs of adventures further afield. The artist enjoyed meandering through the streets of Prague and its surrounding suburbs, and made frequent excursions to the nearby countryside. Sudek’s enduring fascination with light, and its absence, is at the root of some of the most haunting photographs of the twentieth century. Nature, architecture, streets and objects are magnified by his sensitivity and mastery of the effects of light, contrasting with the impenetrable cloak of darkness. As a photographer, Sudek was particularly concerned with the quality of the photographic print, an essential component in terms of the expressive potential of an image. 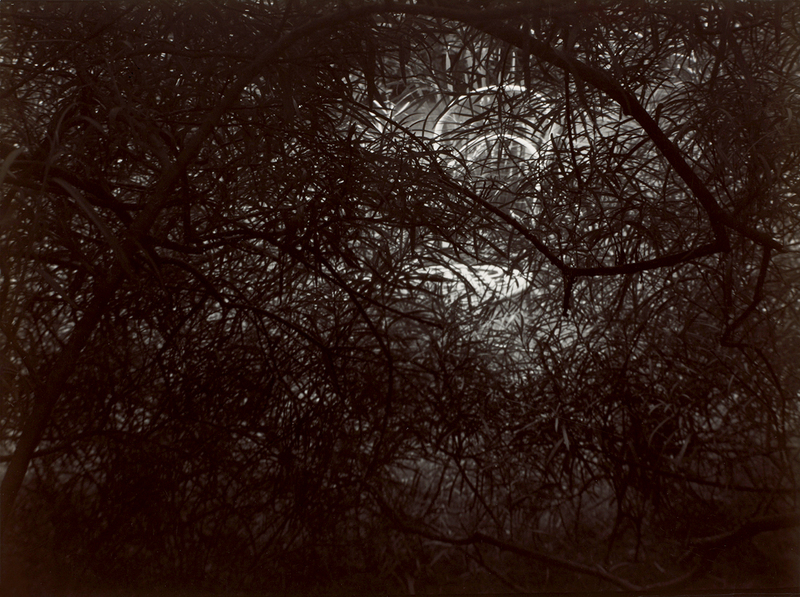 His mastery of the pigment printing process enabled him to produce highly atmospheric and evocative images, thereby reaping all of the reflective and descriptive power of the gelatin silver print. The exhibition presents work from Sudek’s early career, but also features photographs from a pivotal period of experimentation and innovation, beginning in the 1940s. 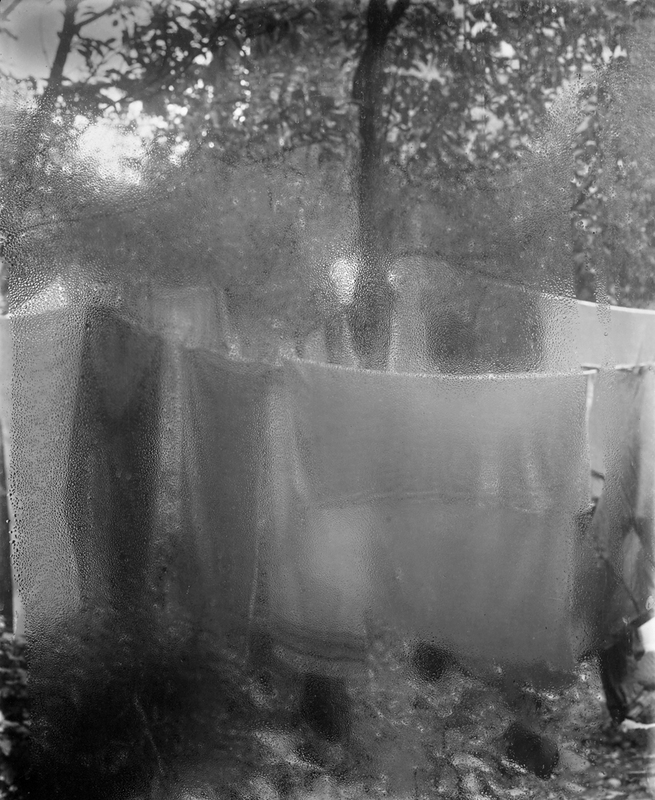 Focusing on the technical and formal aspects of the medium of photography, Sudek created pigment prints, halftone prints, puridlos (photographs between two windows) and veteše (photographs inserted into old frames), techniques which allowed him to transform the objectal quality of photography. The loss of his right arm during the First World War and the difficulties he now encountered in transporting his view camera did not dampen his passion for photography. 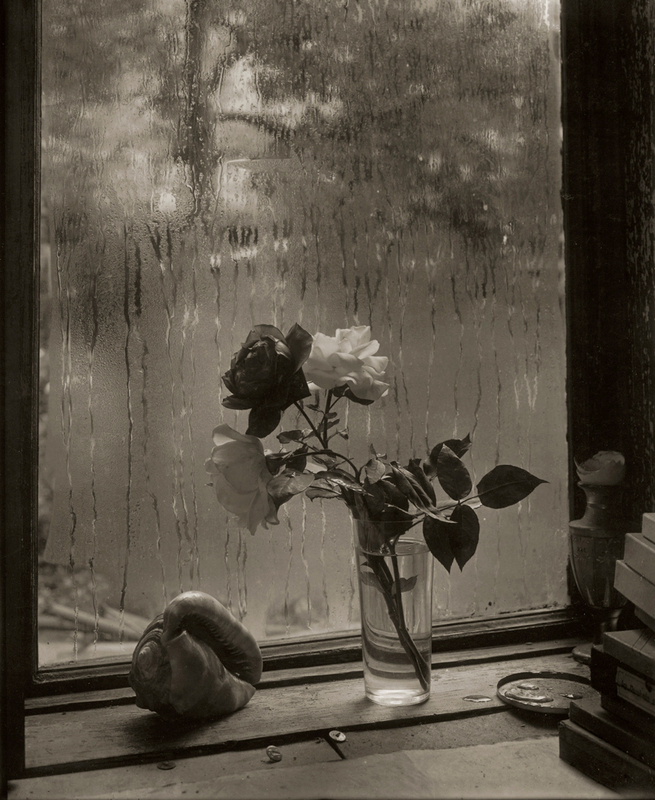 Sudek’s studio window became an object of abiding fascination – rather like the surface of a canvas – reflecting moments of exquisite tenderness and hope when a flowering branch brushed against its pane, or of poignant melancholy when he observed the world beyond his window transformed by the playful infinity of mist. His room with a view allowed him to capture, on film, his love of Prague. His photographs demonstrate both a precision and a depth of feeling, fitting odes to the rich history and architectural complexity of the Czech capital. Like many artists of his generation marked by their experience of war, Sudek expresses a particularly acute awareness of the dark and tormented aspects of human existence—feelings that would inspire some of his most melancholy and most moving pictures. 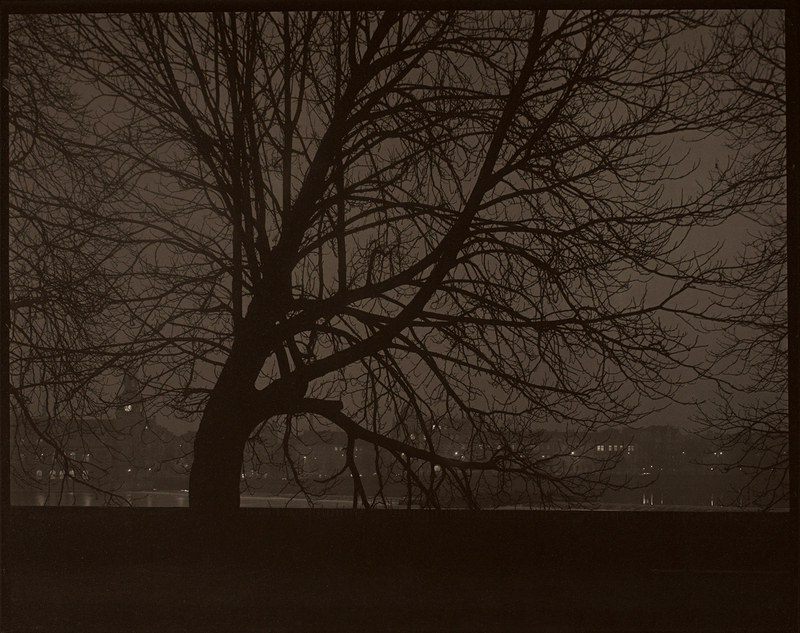 A photograph taken at night, through the glass pane of his window, shows a city plunged into darkness during the Occupation of the Second World War, and communicates a sentiment of unspeakable despair – a dramatic illustration of Sudek’s technical ability to transcend the literal. Although more influenced by prevailing photographic conventions in the beginning, Sudek came to show an openness to experimenting with new ways of composing and printing his images. In the late 1920s, Sudek photographed objects designed by modernist Ladislav Sutnar, thus creating angled views of furniture with reflective surfaces and ceramics of pure form. 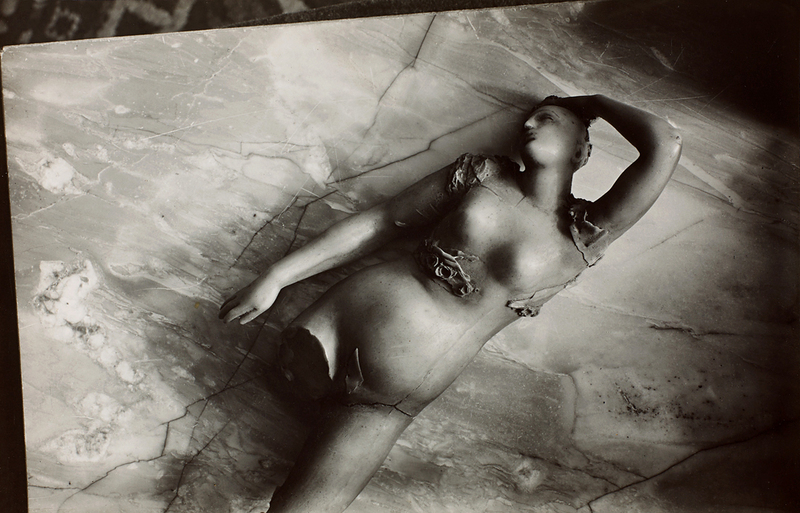 Sudek’s most successful foray into modernism is his experimentation with grotesque (surreal) subjects such as mannequins, decaying sculptures and the accoutrements of the architect Otto Rothmayer’s garden. There is little doubt that in the fragmented figurative sculptures Sudek was recalling some of the human devastation that he witnessed on the battlefields of the First World War. Montage par le photographe c. 1960.